Motorists will face toll rate increases on two of the country’s busiest roads, while charges for trucks will increase on all motorways. TOLL FARES ARE to be increased on two of the country’s busiest roads from this coming Sunday, 1 January. 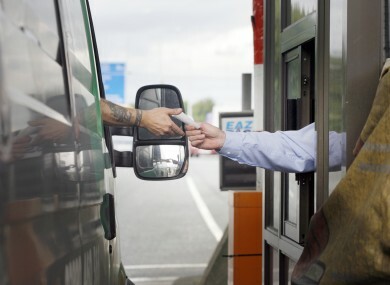 The M3 Clonee to Kells and the M4 Kilcock to Kinnegad motorways will see a toll hike of 10c. Meanwhile, haulage companies stand to face a substantial hit – with charges for trucks increasing on all motorways. They have warned that the increase will add to the cost of moving goods and so impact on consumers. Email “Toll-fare hike for motorists ”. Feedback on “Toll-fare hike for motorists ”.